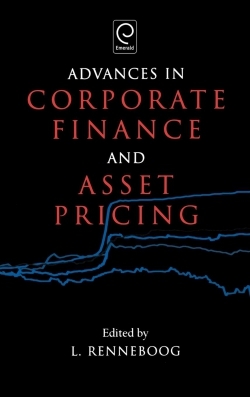 The contents of this book include: Introduction (L. Renneboog) – Part 1: Corporate restructuring; mergers and acquisitions in Europe (M. Martynova, L. Renneboog); the performance of acquisitive companies in the US (K. Cools, M. V. D. Laar); The announcement effects and long-run stock market performance of corporate spin-offs: The international evidence (C. veld, Y. Veld-Merkoulova); the competitive challenge in banking (A. Boot, A. Schmeits); Consolidation of the European banking sector: Impact on innovation (H. Degryse, S. Ongena, M.F. Penas) – Part II: Corporate governance; transatlantic corporate governance reform (J. McCahery, A. Khachaturyan); The role of self-regulation in corporate governance: evidence and implications from the Netherlands (A. De Jong, D. Dejong, G. Mertens, C. Wasley); and Shareholder lock-in contracts: Share price and trading volume effects at the lock-in expiry (P. P. Angenendt, M. Goergen, L. Renneboog). It also features: The grant and exercise of stock options in IPO firms: Evidence from the Netherlands (T. V. D. Groot, G. Mertens, P. Roosenboom); Institutions, corporate governance and firm performance (J. Grazell) – Part III: Capital structure and valuation; Why do companies issue convertible bonds? A review of the theory and empirical evidence (I. Loncarski, J. Ter Horst, C. Veld); The financing of Dutch firms: a historical perspective (A. De Jong, A. Roell); Corporate financing in the Netherlands (R. Kabir); Syndicated loans: Developments, characteristics and benefits (G. Van Roij); The bank’s choice of financing and the correlation structure of loan returns: loans sales versus equity (V. Ioannidou, Y. Pierides); and shareholder value and growth in sales and earnings (L. Soenen) – Part IV: Asset pricing and monetary economics. This book includes: The term structure of interest rates: An overview (P. De Goeii); incorporating estimation risk in portfolio choice (F. De Roon, J. Ter Horst, B. Werker); a risk measure for retail investment products (T. Nijman, B. Werker); understanding and exploiting momentum in stock returns (J. C. Rodriguez, A. Sbuelz); and Relating risks to asset types: A new challenge for central banks (J. Sijben).